"The water of life." Grappa is the base level of brandy style liquor and has its own band of dedicated followers. 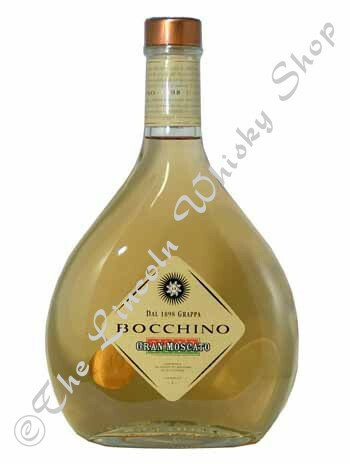 This particular version is produced by Boccino in Italy and comes in a beautiful tear drop shaped bottle.